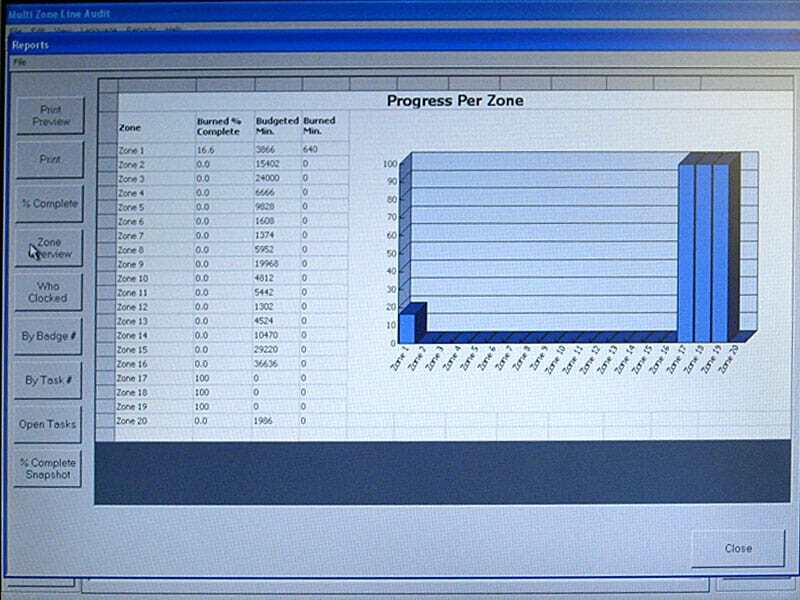 In the Progress Per Zone screen you can track by many different criteria, including badge number and task number. Nine months ago a major aircraft manufacturer came to us with a challenge: They wanted a system that would turn on a light bulb if a task exceeded the allotted time. What started off with one build station, one operator and a light bulb eventually expanded to a factory-wide, real-time data acquisition system which increased efficiency and resulted in savings of 20-40% in time and materials. By tracking the time and status of everyone — even line employees — the system organizes all the work so the operators at the stations have specific instructions on assigned tasks and how long they have to complete them. 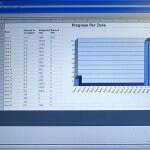 The system records metrics of the day and gives management potentially instant feedback on what’s going on the plant floor; they can request reports at any point in time and have an overview of the progress of the task, the percentage of the task completed and how progress compares to the previous day, week or month. The first night the plant implemented the expanded system they identified a task they were doing that simply didn’t need to be done: One of the routine tasks for each plane was to epoxy a hatch that had already been sealed at another factory, but not to the company’s standards. Now, years later, the epoxying task was still on the list although the hatch situation had been resolved long ago. Removing this one redundant task saved the company $50,000 on every aircraft. And yes, the company now has a light bulb that instantly alerts operators and engineers if a task is over the allotted time — actually, a whole stack of lights in red, yellow and green at every station on the line.